Our readers nominated their favorite subscription boxes, then voted on which of those boxes they loved most. Here’s what they chose as the Best Women’s Lifestyle Subscription Boxes! Maybe you’ve been wanting to try a subscription box but don’t know which one is worth for you. Or maybe you’re a subscription box fan looking for something new to add to your wishlist. You’ve come to the right place! We asked our readers which women’s lifestyle boxes stand out from the crowd to save you from wasting time shopping around. These boxes earned the top spots thanks to their crowd-pleasing assortments of beauty, fashion, accessory, home, and other surprises. Our readers adore them, and we bet you will, too! 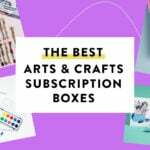 21 Women’s Lifestyle Subscription Boxes for Beauty, Decor, Fashion, & More! The Cost: $49.99 a box sent every quarter. Sign up here! The Products: It’s no surprise that this uber-popular subscription earned the top spot! Each edition of FabFitFun includes the hottest seasonal items, such as beauty goodies, cute accessories, and fun wellness items with a total retail value of at least $200. Everything is carefully curated by the FabFitFun team and packed inside an upbeat box. Check out all of our FabFitFun Box reviews to learn more. The Cost: $54.95 on a quarterly basis, or $49.95 per box with an annual subscription. Sign up here! The Products: Trying to be more intentional with your shopping? CAUSEBOX makes it easy! 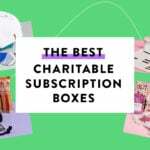 Each box contains at least $150 worth of products including cosmetics, home decor items, gifts, accessories, jewelry, and other self-care treats, all sourced from socially-conscious companies. Check out all our CAUSEBOX reviews to learn more. The Cost: $75.00 per quarter. Sign up here! Coupon: Use coupon code MSA20 to save $20 off your first box. The Products: This box recently made the jump from monthly to quarterly! Four times a year, you’ll get a seasonal selection of unique beauty, fashion, food, fitness, and home products with a retail value of over $250.00. Everything is curated by the lifestyle experts at POPSUGAR! Check out all of our POPSUGAR Must Have reviews to learn more. The Cost: $99.99 per quarterly box. Sign up here! The Products: Every season, Rachel Zoe and her team hand-curate more than $400.00 worth of their favorite fashion, beauty and lifestyle items to share with you in Box of Style. We’re talkin’ gorgeous jewelry and accessories, cosmetics, beauty products—items that will add instant glamour to your day! 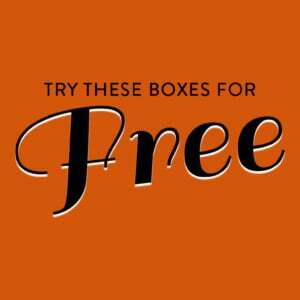 Check out all of our Box of Style reviews to learn more. The Cost: $33 per month with discounts for longer commitments. Sign up here! The Products: This monthly wellness subscription box is filled with “high vibe lifestyle goods” meant to aid in new-age spirituality practices such as meditation, intention-setting, and energetic healing, as well as general holistic health. Check out all of our Goddess Provisons reviews to learn more. The Cost: $44.95 a month + free U.S. shipping (shipping to Canada is $15 a month and Worldwide shipping is $25). Sign up here! The Products: Each month, you’ll receive 6-8 full-size products designed to nourish and support your well-being, vitality, and growth. You’ll get a variety of items from handcrafted yoga accessories and natural beauty items to herbal tonics, organic snacks, and superfood essentials. Check out all of our Yogi Surprise reviews to learn more. The Cost: $28.99 a month + shipping. Save with 6 and 12-month subscriptions. COUPON: Use code BEAUTY20 to save 20% off your first box! The Products: Each box contains 5-to 7 luxury and full-sized products with a focus on mindfulness, well-being, and self-love. Think healthy snacks, holistic supplements, clean beauty products, yoga accessories, and supplements. Check out all of our Feeling Fab reviews to learn more. The Cost: $40.00 per month + free shipping for the first month; $10 shipping for future months. Sign up here! The Products: Treat yourself to the ethical accessories, decor, and lifestyle items inside this monthly subscription box! GlobeIn sends you items from around the world curated around a monthly theme. In addition to the items, you’ll also get a booklet that tells the stories of the artisans, communities, and companies behind each gift! Check out our GlobeIn Reviews to learn more. Good to know: GlobeIn offers two other subscription levels, as well. The Essential box includes one item for $10 per month+ free shipping for the first month ($3 shipping for future months). There is also a Starter level where your monthly membership fee gets put towards credit to use in their online shop. The Cost: $39.95 a month + $4.95 shipping. Sign up here! The Products: This super fun subscription box was created by women of color for women of color! Each shipment comes with 5-6 products, including one Izzy & Liv tee, tank, or sweatshirt, plus accessories, decor, and other gift items, many of which are from black-owned businesses! Check out our Brown Sugar Box Reviews to learn more. The Cost: $34.95 per month + free shipping. Sign up here! The Products: This home fragrance subscription sends you 4-5 scented products, such as candles, lotions, and more! Each box is centered around a different theme to delight you (and your nose). Check out our Nosejoy Reviews to learn more. The Cost: $39.99 every other month. Sign up here! The Products: Sugarbash is a bi-monthly subscription box by radio-host Shirley Strawberry. The box includes a mix of beauty and lifestyle items. Pick from a personalized, mystery, or curated box! Check out our Sugarbash Reviews to learn more. The Cost: $100 per quarter. Sign up here! The Products: Each Happy Rebel box contains 4-6 items, such as jewelry, fashion accessories, home decor, beauty products, as well as other various modern, edgy lifestyle items. They donate a percentage of each season’s profits to a different charity that’s helping women and children around the globe. Each box includes information about that season’s charity, so you can learn about the good your purchase is doing in the world! Check out our Happy Rebel Box reviews to learn more. The Cost: $49.95 per quarter with free shipping. Sign up here! The Products: Every month, this box will send you products to enhance your yoga practice and mindful lifestyle. They only partner with businesses that follow ethical and conscious standards of production. Additionally, a portion of all boxes sold goes to benefit a nonprofit! Check out our Buddhi Box reviews to learn more. The Cost: $39.99 a month + free US shipping. They also offer a Petite box for $24.99 a month+ free US shipping. Save with 3 and 6-month subscriptions. Sign up here! The Products: SinglesSwag sends you 5-7 products that celebrate… YOU! Expect bath and beauty items, accessories, a yummy food item, and an uplifting book to enrich your day. The Petite box comes with 3-4 products. Check out our SinglesSwag reviews to learn more. The Products: Love Goodly sends you a mix of beauty and skincare products and samples, wellness products, healthy snacks and eco style or home accessories. All products are vegan and cruelty-free! Check out our Love Goodly reviews to learn more. The Cost: $139.00 per quarter. Sign up here! The Cost: $30.00 a month, save with 3, 6 or 12-month subscriptions. Free shipping. Sign up here! The Products: Uncorked Box’s founder Amanda, took her love of subscription boxes and wine-related items and formed a monthly box where she shares her fun and unique wine finds with her subscribers! Each monthly delivery includes 4 to 7 wine-related items and some products to pair with wine. Check out all of our Uncorked Box reviews to learn more. The Cost: $39.95 plus $4.95 shipping. Sign up here! The Products: Each CampusCube includes healthy snacks, useful gadgets, and personal care items, while the box upcycles into useful, colorful dorm room storage. They also donate a portion of every sale to national scholarship organizations. Check out all of our CampusCube reviews to learn more. The Cost: $59.99 a quarter + free shipping. Sign up here! The Products: VineOh! is all about treating yourself. Each box contains two bottles of premium wine, custom-made for VineOh!, a tasty treat, and a slew of unique self-care surprises, like jewelry, beauty products, and even delightful home accessories. Overall box value is usually around $150 and up. Read all our VineOh! Reviews to learn more. Ships to: The US, except the following states: AK, AL, AR, DE, HI, KY, MS, OK, RI, UT. Boxes ship via UPS Ground. The Cost: $150 per box (ships every other month) Sign up here! The Products: Experience a beautiful bi-monthly assortment of French products, including beauty, fashion, jewelry, home, and food surprises each month with this subscription. No two boxes are guaranteed to be exactly alike, so you’ll receive something chic AND unique! Check out all of our Oui Please reviews to learn more. That wraps up our list of the Best Women’s Lifestyle Subscription Boxes! Did your favorite make the list?